From the outside, Costco locations in South Korea look pretty similar to those in the US. They're towering buildings, stuffed with products sold in bulk. Even the food courts are almost identical, serving hot dogs, pizza, and soft-serve ice cream. However, scrolling through photos taken in Korean Costcos reveal a key difference: Customers are eating an incredible amount of the free onions that are provided in American stores as a hot dog topping. Costco customers in South Korea eat 20 times as many onions as American Costco cafe customers, the Los Angeles Times reported, citing company data. The 13 Costco locations in South Korea go through more than 200 tons of onions a year. From bulk goods to the Kirkland brand, Costco locations in South Korea are almost indistinguishable from their American counterparts. In the cafe, the menu seems pretty similar as well — and yes, Costco does sell sushi in the US. But, then there's the onion. Some people just have a couple of spoonfuls alongside their pizza. Others are eating an entire plateful. Customers top the onions with mustard and ketchup. Others have a plate of onions, and then add some more on their hot dogs. Some people call the dish "Costco kimchi," according to the LA Times. 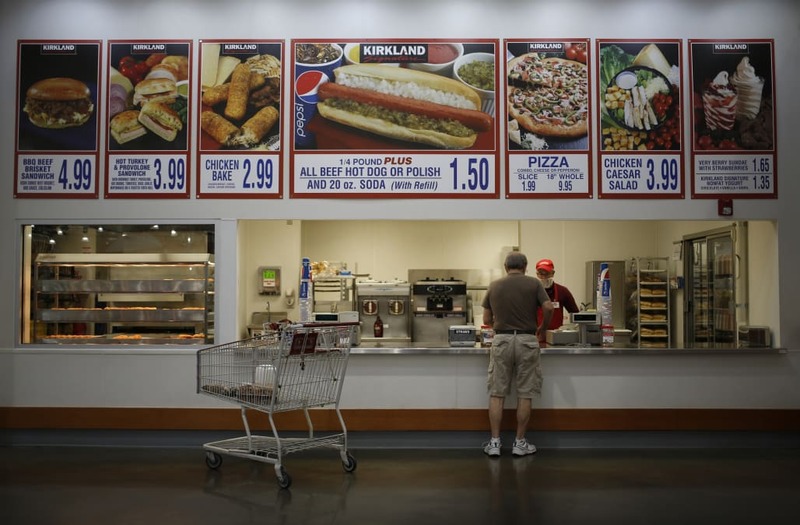 "It's an extension of that dietary culture," Costco shopper Jeon Won-il told the LA Times. Because kimchi is so popular in South Korea, many Costco shoppers expect an acidic side to cut through the greasy food. "They need something like a pickle or a kimchi, in a way," food consultant and restaurant owner Daniel Gray told the LA Times. With Costco serving up unlimited onions for free around the world, maybe it's time for free-sample-loving Americans to give "Costco kimchi" a chance.